How to use the modal of obligation - "Be supposed to"
This app is not particularly a language app, but it can be very useful to find new and exciting tools for language teaching and learning. Honestly, even ESL teachers need a free game once in a while too. I have found many apps that I can use both recreationally and educationally through this app. It almost always has a photo app, a word game app, or a puzzle game of some kind. Each day there is a new list of apps gone free, so if you don't find anything one day, you will probably find one the next. For info on other apps, check these other posts. How to use modals of certainty in the present tense. Here is my quick tutorial on modals of certainty, past negative. Check out more modals tutorials on the "All Posts" section on the left side of the blog. Mindmaps are very useful tools for many students, whether they are used for vocabulary, grammar, writing concepts, or basically any subject that could be learned easier by visualizing information. DropMind is an app that allows students to create custom mindmaps using various colors,shapes, fonts, and designs. The "Lite" version is free and is pretty capable for students' needs. I like it for creating outlines of various essay forms, vocabulary connections, grammar points, etc. Students have some area for creativity in using this app, and it could be helpful for those students who are visual learners. For an example of a mindmap that I have done, please click HERE. If you want more useful iPad Apps, check out my Best iPad Apps Overview Presentation, and check these out. Please comment and let me know what apps you like to use for ESL teaching/learning. 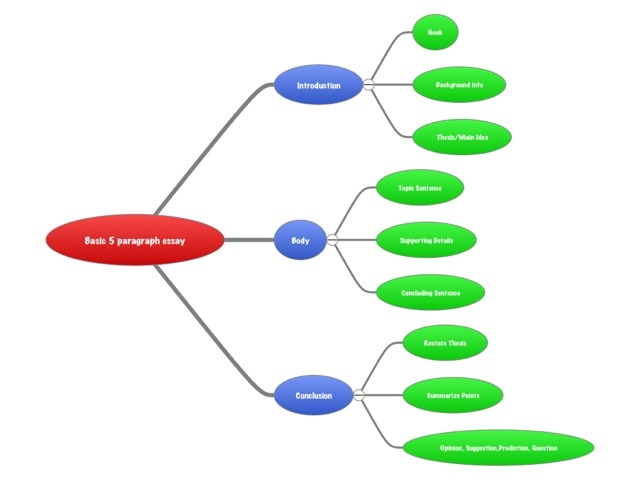 Here's a quick illustration of the major parts of the five paragraph essay. The intro is one paragraph, the body is three paragraphs, and the conclusion is one. You can also check out the video tutorial with more detail on the parts of the five paragraph essay by clicking here. How to use Modals for lack of necessity and prohibition (Don't Have To and Must Not). ShowMe is one of my favorite iPad apps because it allows the user to narrate a picture, text, etc., and draw on the whiteboard at the same time. This has endless uses for language teachers, but here are a few that I came up with. 1) Create an online lesson for an in-class topic. Record the main ideas of your lesson and give students a link or post your creation to an online social media site. 2) Have students create a narrated visual presentation on a topic using your/their iPad and show it in class as opposed to a "stand in front of the class" type presentation. 3) Create a Vocab Map using Skitch (see below) and ShowMe together. Pick a picture that is related to a topic you are teaching and annotate it with Skitch showing the vocabulary for the picture. Then, upload the photo and use it on ShowMe to narrate and pronounce the vocab. Click HERE for an example. 4) Download the presentation and upload it to YouTube so students have instant access to your ShowMes! These are just a few uses for ShowMe. I use it all the time, and I'm sure that you will too once you get used to it. 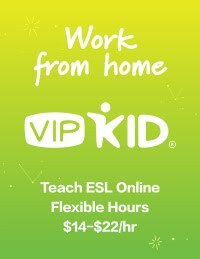 Other Apps for ESL/Language teachers. Cloudon is a great app for teachers and students who want to have access to MS Word, Powerpoint, and Excel programs from their iPad. This app has most of the features of these programs and allows you to download to DropBox, which is an online storage app where you can always access your files, no matter where you are. The pros of this app are that it is free, you can upload from/download to DropBox, it has a similar interface to MS Office programs for those who are used to them, the files you make on the iPad can be opened on MS Office from a PC, and it allows for slide making on the go. For those students who may have an iPad but not a laptop/PC with MS Office and who are at a disadvantage in presentations, this could be a great help because students can use the ppt format on their iPad and upload them onto the PC through DropBox. Check Out my overview of iPad apps HERE. Here are some other apps that may be of use to you also. How to use Future Time Modals. Flashcardlet gets my vote for the best flashcard application on the iPad and for the web.This is because it works in conjunction with Quizlet.com (For my post on Quizlet, click here). The app itself is simple and has notecard-looking flashcards that students can use to study anything. Students can create flashcards, add pictures to them, study them, keep count of how many they got right or wrong, shuffle, and change the order of the flashcards. Working together with Quizlet, this makes it one of the more powerful iPad flashcard apps because its use is not limited to those with an iPad. Students can create flashcards on the web and use them on Flashcardlet or vice versa. If you are interested in learning about more iPad apps that are useful for ESL teachers, click HERE. How to use the Modals: Would or Used To. Skitch is a great app for making drawings, mock-ups, diagrams, etc. I personally like to use it in conjunction with ShowMe, which I will talk about in a later post. As an ESL teacher, I like Skitch because it has elegant text, arrows, and writing capabilities that allow for professional looking presentations. You can take snapshots of webpages, use camera roll photos, create new blank pages and more. So, here are some quick uses for Skitch. 1) Make a vocab map. What I do with my iPad is download a wallpaper related to a unit of interest (i.e. Mountains). Then, I go ahead and use arrows and text in Skitch to show vocabulary on the picture. This is a great feature for lower level teachers who need their students to visualize vocabulary. Click here for an example. 2) Make an instruction map. Take a snapshot of a webpage and show students where they need to click in order to register, get a login, etc. 3) Annotate a student's paper. You can use the draw feature after you have taken a picture of a students work and then write your comments or use text to do so. 4) Sync with Evernote Trunk and add audio to your comments on a student's paper. 5) Create a classroom picture for substitutes. You can take a picture of your class, type in the students' names, and then give it to a sub on their email the day you can't be there. These are just a few quick uses for Skitch, and I'm sure you can think of more. Please comment below and let me know how you use Skitch! This is an excellent way for students to build academic and high level vocabulary (or even low level) vocab while sending rice to impoverished nations. The student is given a word and then asked for a multiple choice answer for the definition. 10 grains of rice are donated for every correct definition given. The site is adaptive, so words will get harder or easier depending on ability. So, students at lower levels can still play it! Here is a quick tutorial lesson the negative modal forms of certainty. I will be posting about 10-12 modal tutorials in the next couple of weeks, so keep your eyes out on the left "All Posts" area for many more modal instruction tutorials. Here is a great ESL icebreaker activity to get students talking, listening, and getting to know each other. 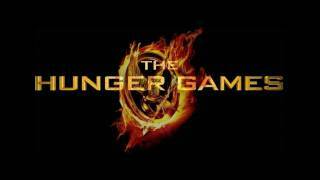 This activity uses listening and the Hunger Games to help students practice the unreal conditional in here to download, or look below to preview the worksheet. Please also check out new Catching Fire Activities. The "If...then" format is used, and students will love to watch the exciting clip of the Hunger Games! This activity gives practice on listening for details, writing sentences, and then writing a short paragraph. The worksheet that goes along with the video is downloadable and is below the clip.The formatting looks wrong on the example, but when downloaded into Word, it will look right. If you like this, please try out the NEW Man of Steel Classroom Activity! I must say that I think that Quizlet.com has won my vote for the best flashcard application on the web. In quizlet, you can create flashcards like any other app. However, the cool things that Quizlet does with your flashcards after you make them is what sets this app apart. 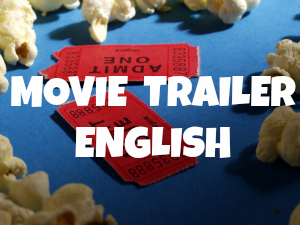 For one, it allows students to play matching games with the words and definitions. It also has a typing race, where students type the words that match the definition. It also gives the audio for many words in 18 languages! Finally, the vocab can be uploaded to mobile platforms like the iPad, iPhone, or Androids!